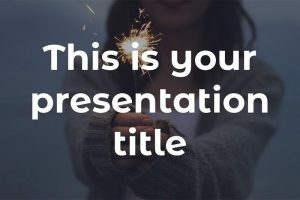 If you are looking for a presentation template that is short, sweet, and to the point, then use a presentation template that has a minimum information on the slides. 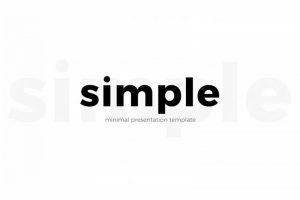 Download any of the Free Minimal Presentation Templates for your great presentation. Just because it has a minimal style, this does not mean you won't be able to fully inform your audience. In fact, using a minimal style helps to enhance their attention, since they are not being overwhelmed with so much information. Are you looking for a stylish and elegant presentation to boost your information? 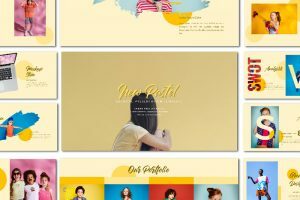 Use spark fashion Powerpoint template and dazzle your audience with unique and simple photo layouts. 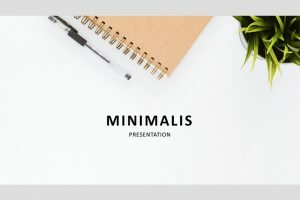 If you are looking for a minimal presentation template that will make your information standout, then you should use the Paradox Free Powerpoint Template. 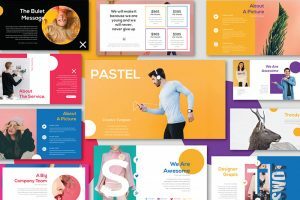 This presentation template uses a colorful gradient pink color that does an ombre color style, going from dark to light. Finance Powerpoint Template is the perfect free presentation template when you are presenting on topics such as finance, business, and professional lectures. This template uses a simple, number design, on the corners, and around the borders. 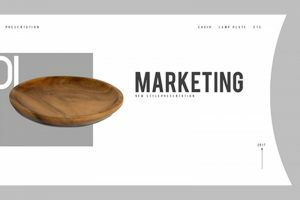 If you are looking for a cool presentation template, then you have come to the right place. 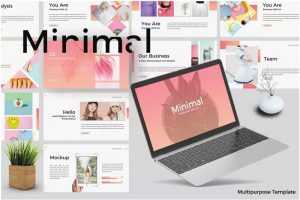 Aida Free Powerpoint Template is a colorful presentation template with cool gradient color pattern that is visually appealing. 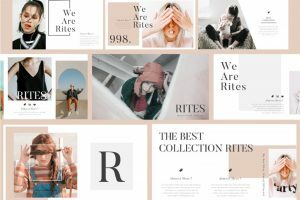 Rites Powerpoint Template is chic and modern with an impressive design. Although the slides are stylish, colorful, and unique, the presentation is still very professional. Sometimes minimal may seem like a bad thing, but not when the minimal looks simple and elegant. 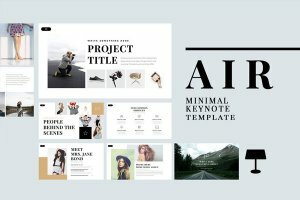 The Air free Minimal Powerpoint template is an eye-catching presentation. Article Free Powerpoint Template is a clean and organized presentation template, that will give your audience a formal and professional impression of you. Article is multi-purpose, so you can create a presentation that is stylish and minimal. 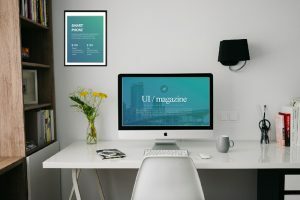 You do not need so much to create the perfect presentation template, sometimes simplicity is the best way to show your elegance, professionalism, and creativity. Stasia Free PowerPoint template is a simple, clean, and minimal presentation template that is designed to make your information stand out. 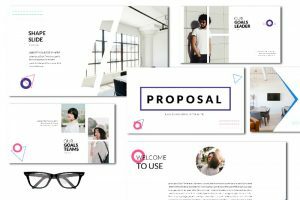 If you want a simple, minimal style, and multipurpose presentation template, then use the Melia Free Powerpoint Template. This template will give you an elegant look and will make your information stand out beautifully. Even though the slides are simple, your presentation will have a clean, creative, and modern look. Simplicity is great when you are presenting to a diverse group, it keeps your information clean, organized, and it will intrigue anyone, no matter who they are. 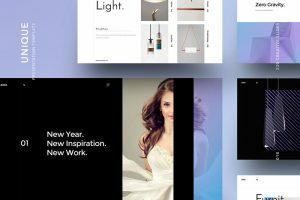 Manda Free Powerpoint Template is a great presentation template with a minimal style. 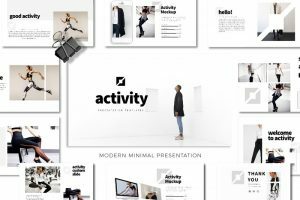 Activity Free Powerpoint Template is modern and multi-purpose, meaning you can use it for any type of presentation: corporate presentations, business report, branding, or any project. Are you looking for a cool presentation, that is clean, organized, and will make your information stand out? Well, you came to the right template. Maga is a free powerpoint template that is easy and ready for you to customize. Minimize your workload by downloading any of the Maga presentation templates. 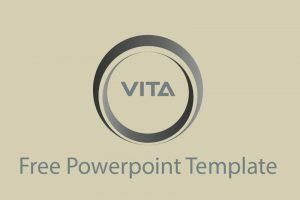 If you are looking for a professional and minimal style presentation template, then use the Vita Free Presentation Template. 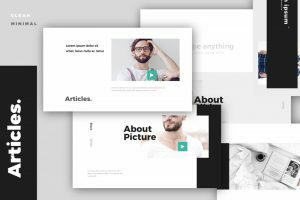 Vita is defined as biography or resume, making this presentation template perfect for professional and commercial reasons. Minimal is having a simple form or structure, which is what this presentation has. It does not any bright colors or abstract shapes, but it does have a clean, organized, and modern look to it. Xara Free Powerpoint Template is designed to present your information in the best way that it can be presented to an audience. Then don’t give a boring and expected presentation, instead impress your audience and get them in the holiday spirit. 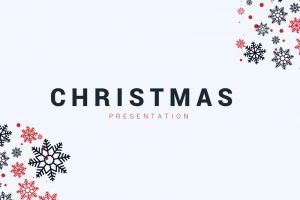 This presentation template uses a creative graphic design of ice crystals, also known as snowflakes, to give your presentation a unique and beautiful look. 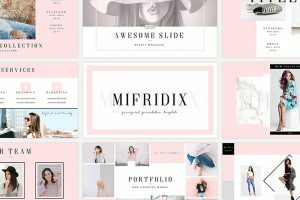 Elegance, modern, creative and professional are the words the audience will use to describe your amazing Powerpoint presentation if you use Midfridix. Because its clean and organized, your information will be easy to read and your audience will get a clear message. 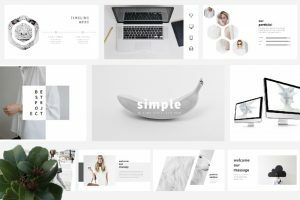 For a monochrome presentation that is unique and modern, we recommend you use the Onya Powerpoint Template. 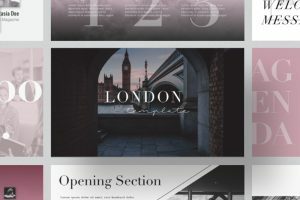 This presentation template is multipurpose, meaning you can use it for any kind of presentation. In fact, it could be used for personal or corporate use. 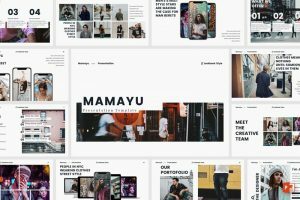 Mamayu is a unique and creative presentation for personal use, yet it also has a clean and professional look for commercial use. Impress your audience using this elegant presentation. For a professional and impressive presentation use the Solutions for Business Powerpoint Template. As a result, you will stand out. 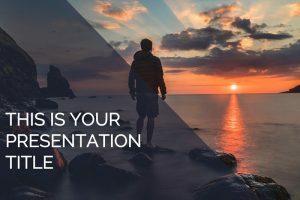 It comes with ten unique slides that you can customize and edit to share all the information you need with your audience, in fact, it is very easy for you to do. 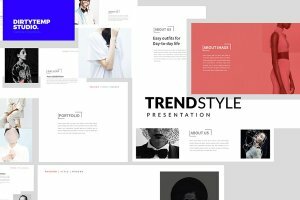 Trends Powerpoint Template is a multipurpose presentation template that could be used for any type of presentation that would need a photo book or portfolio type of presentation. For a classic and simple presentation template that is easy to edit with a professional finish use Modern Report Powerpoint Template. Black and white does not always have to be boring, just add a bit of pink and it you will grab your listener’s attention. 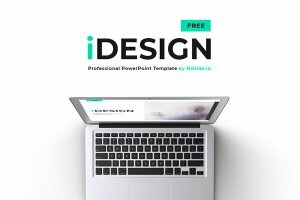 iDesign free Powerpoint template is a simple and minimalist template great for designers. Present your portfolio to customers with these professional clean slides. 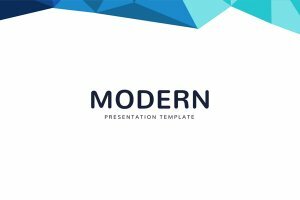 For a modern and clean look, this Powerpoint template is the one to make you stand out in any presentation. 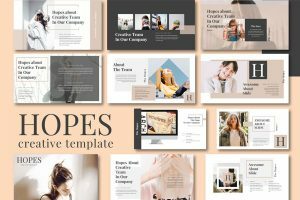 The tempo Powerpoint Template contains 23 slides with a unique design of excellent quality on every one.